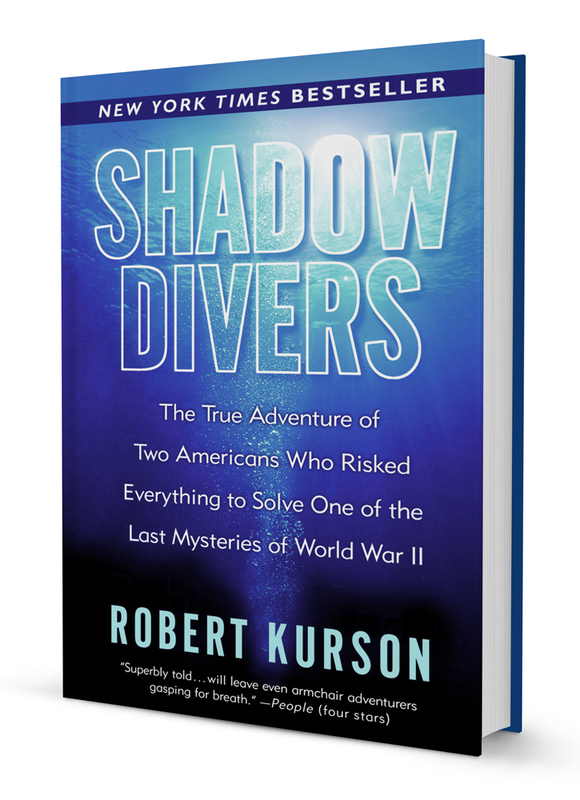 Shadow Divers is a riveting true adventure in which two weekend scuba divers risk everything to solve a great historical mystery–and make history themselves. For John Chatterton and Richie Kohler, deep wreck diving was more than a sport. Testing themselves against treacherous currents, braving depths that induced hallucination, navigating through a minefield of perilous wreckage, they pushed themselves to their limits and beyond, brushing against death often in the rusting hulks of sunken ships. But in 1991, not even these bold divers were prepared for what they found 230 feet below the surface, in the frigid Atlantic waters sixty miles off the New Jersey coast: a World War II German U-boat, its ruined interior a macabre wasteland of twisted metal, tangled wires, and human bones–all buried under decades of sediment. Over the next six years, an elite team of divers embarked on a quest to solve the mystery. Some would not live to see its end. Chatterton and Kohler, at first bitter rivals, would be drawn into a friendship that deepened to an almost mystical sense of brotherhood with each other and the drowned U-boat sailors–former enemies of their country. As the men’s marriages frayed under the pressure of a shared obsession, their dives grew more daring, and each realized that he was hunting more than the identities of a lost U-boat and its nameless crew. Shadow Divers spent 24 weeks on the New York Times Bestseller list, peaking at #2. The book was awarded the American Booksellers Association’s 2005 “Book of the Year Award,” and has been translated into 22 languages.